Intervals of clouds and sunshine in the morning with more clouds for later in the day. A stray shower or thunderstorm is possible. High 79F. 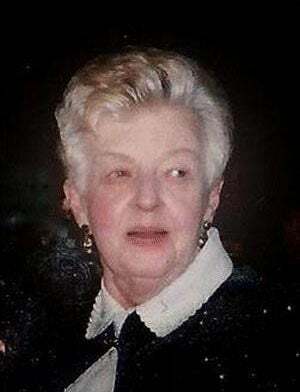 Winds WSW at 5 to 10 mph..
Betty H. Miller, 86 formerly of Middlesex Rd., Carlisle, PA passed away Friday, April 12, 2019 in the Claremont Nursing and Rehabilitation Center. She was the widow of Ronald E. Miler who passed away May 4, 2016. Betty was born September 15, 1932 in Carlisle to the late Chester and Helen (White) Diller. Memberships include Middlesex United Methodist Church, where she was a choir member for many years, Carlisle VFW # 477 and the South Mountain American Legion # 674. Bettys loved to sell jewelry at local flea markets and enjoyed her many cats. You may have remembered Betty from the local Bon-Ton, where she worked for many years. Betty’s family includes daughters, Linda K. (Mike Singer) Miller, of Carlisle; Elaine L. Bouch (Ron), of Walnut Bottom; Jennie L. Clubb (David) of Carlisle and Karen J. Miller (Jeff Swartz) of Carlisle; Two sons, Keith E. Miller (Lisa Noll) of Manchester and Scott M. Miller (Colleen) of Fredericksburg, VA; Thirteen grandchildren and sixteen great-grandchildren. She was predeceased by two daughters, Jo Ann Miller and Debra J. Lehman (Doug). Funeral homes often submit obituaries as a service to the families they are assisting. They may do so by contacting our obituary vendor, Memoriams, at 877-705-4995 or memoriams.com. Obituaries submitted by family members may be submitted by clicking on the link below and will be accepted pending proper verification of death.